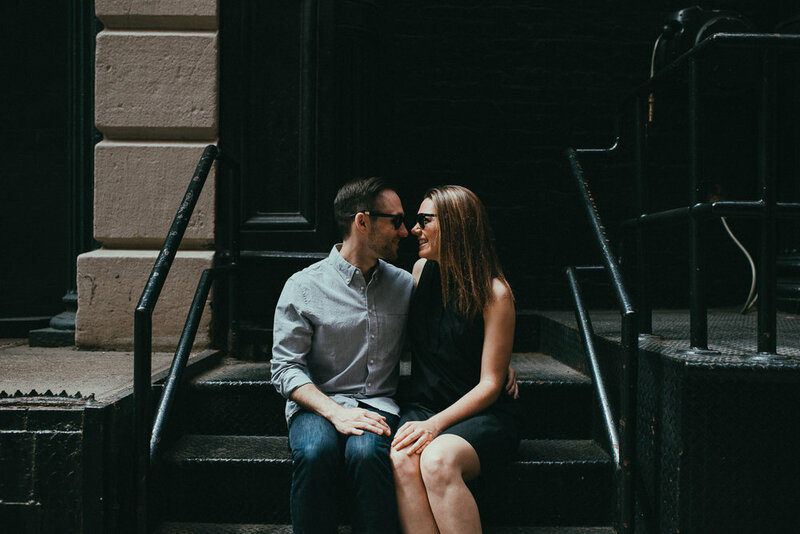 An engagement session in NYC, finally a dream that comes true!!! How many time did we dream to photograph a couple between the amazing streets of New York City? Light coming trought the high and red buldings, yellow cabs and smoke from the manhole. The prefect city to take some urban photos. Enjoy this beautiful couple session because we are going to share Michelle and Lucas elopement in Italy very very soon!! !